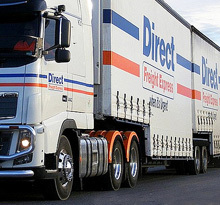 Direct Freight Express offers a comprehensive range of delivery services to meet almost every transportation need. To find out more call 1300 347 397 or contact one of the representatives in your state or territory. When selling to major retailers it is imperative that your freight arrives on time and within their receiving arrangements. Our Book In facilities ensure that all details are confirmed once all freight and documentation is received and your goods are delivered within those arrangements. Our linehaul vehicles, company depots and agency facilities ensure your freight arrives at its end destination in the shortest possible time. Security of your freight is one of our top priorities with all of our depots monitored by CCTV 24 hours a day and surrounded by electrified fencing.